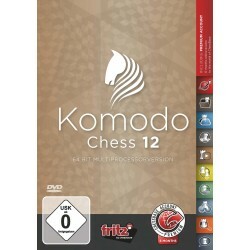 In computer chess there is no getting past Komodo: Komodo is a triple TCEC Champion. Last year Komodo won the computer rapid chess world championship with an incredible score of 96%! But what does the surprising success of the AI project AlphaZero mean for the future of computer chess? Will the classical engines, with in addition to cunning algorithms any amount of human chess knowledge, still manage to keep their nose in front? Or will the “Monte Carlo” process win through, which works with huge numbers of games and statistical evaluations? The new Komodo 12 may have no answer to this question but it does have two engines up its sleeve! 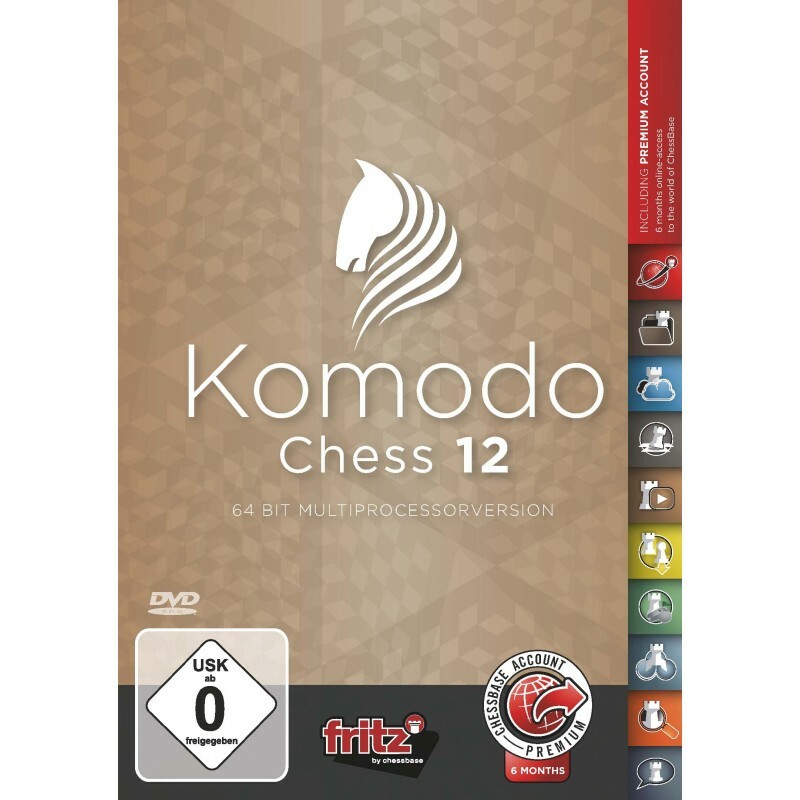 In computer chess there is no getting past Komodo: Komodo is a triple TCEC Champion. Last year Komodo won the computer rapid chess world championship with an incredible score of 96%! But what does the surprising success of the AI project AlphaZero mean for the future of computer chess? Will the classical engines, with in addition to cunning algorithms any amount of human chess knowledge, still manage to keep their nose in front? Or will the “Monte Carlo” process win through, which works with huge numbers of games and statistical evaluations? The new Komodo 12 may have no answer to this question but it does have two engines up its sleeve! For with Komodo 12 you get on one hand the new and improved classical Komodo engine. The developing team of computer expert Mark Lefler and chess grandmaster Larry Kaufman has cranked up the playing strength of the top program a bit further. And on the other hand a Komodo 12 “Monte Carlo” version is included. Here the engine behaves quite differently in analysis: within a short time it plays a whole series of games against itself and comes to its evaluations based on the results of these games. As for playing strength, the “Monte-Carlo” version is not yet up there with the classical Komodo 12. But what is interesting is that the playing style of the two versions clearly differs: the “Monte-Carlo” version plays clearly more aggressively and thus also bases its play less on the material balance on the board. Komodo 12 is thus two things: an absolutely top program and an exciting analysis partner, which will often surprise you with its suggestions and introduce you to interesting ideas!